I recently came across modern impressionistic artist, Leonid Afremov, whom is a Russian–Israeli artist who works mainly with a palette knife and oils. He developed his own unique technique and style which is unmistakable. The above painting “Paris of my Dreams” explodes into your vision as if the night sky was celebrating new years and confetti was flying everywhere. 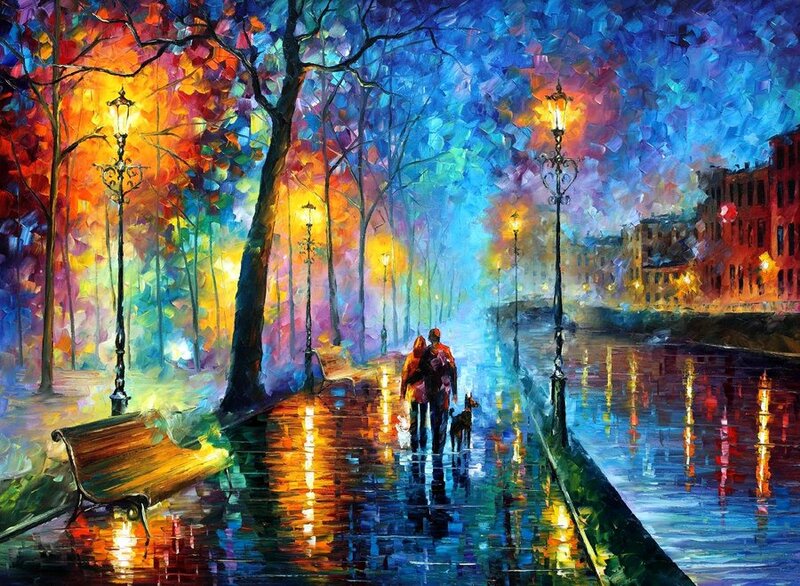 The color is vibrant & makes for a piece that is full of life. 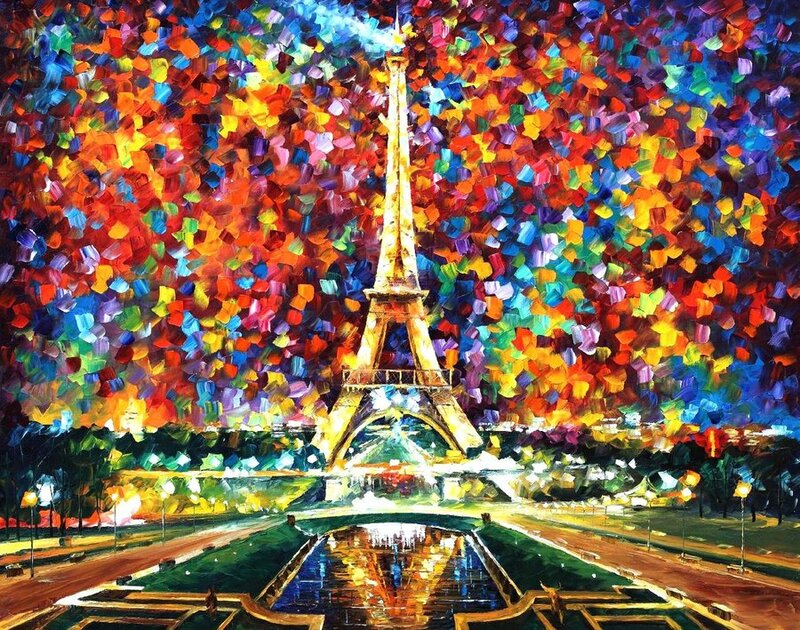 He paints mainly landscape, city scenes, seascapes, flowers and portraits. 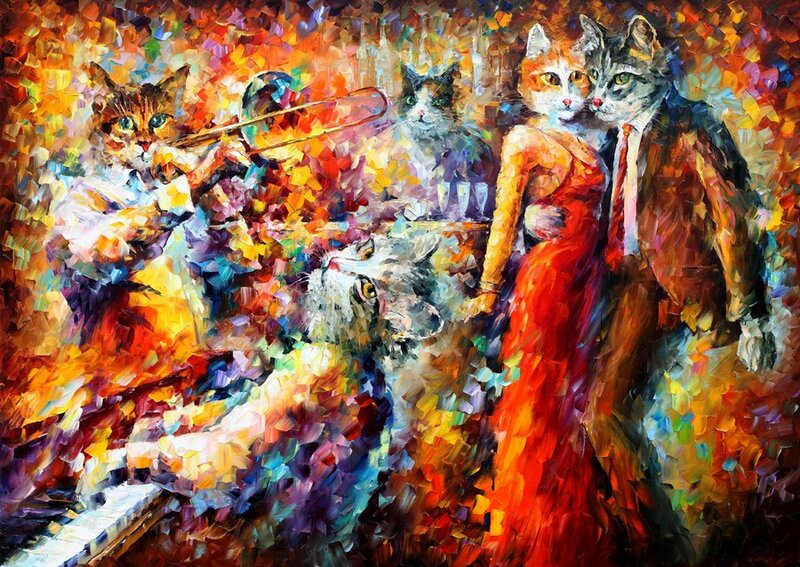 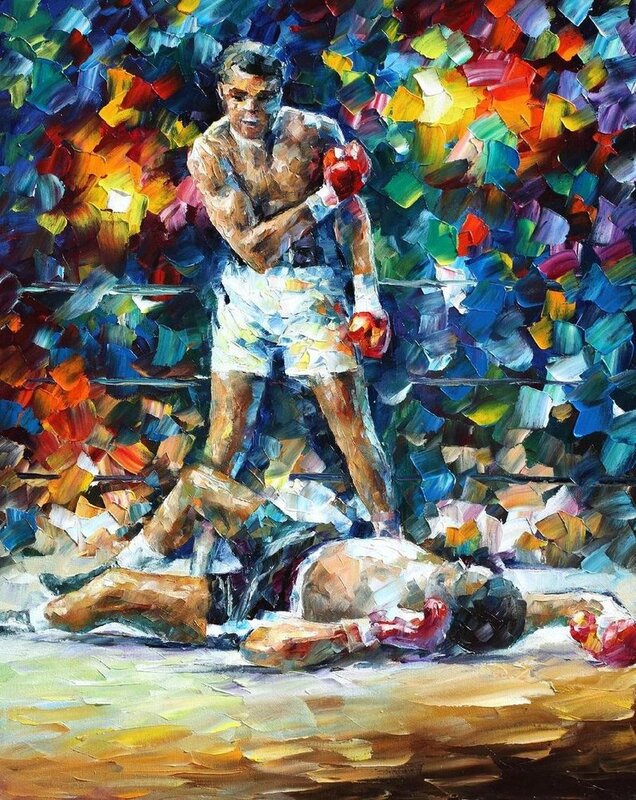 See more of Leonid Afremov after the jump. 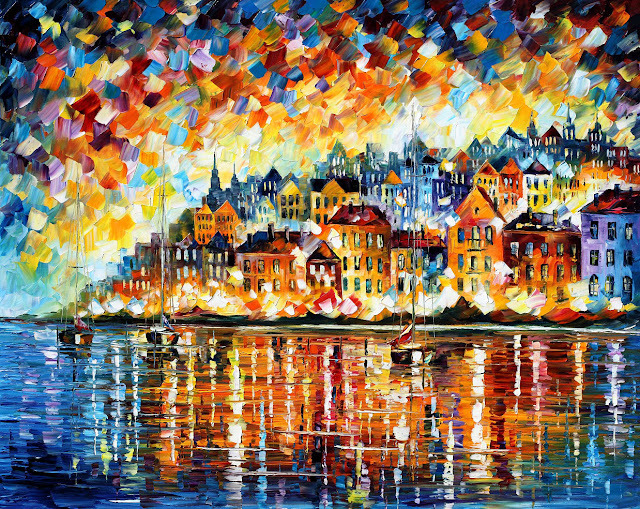 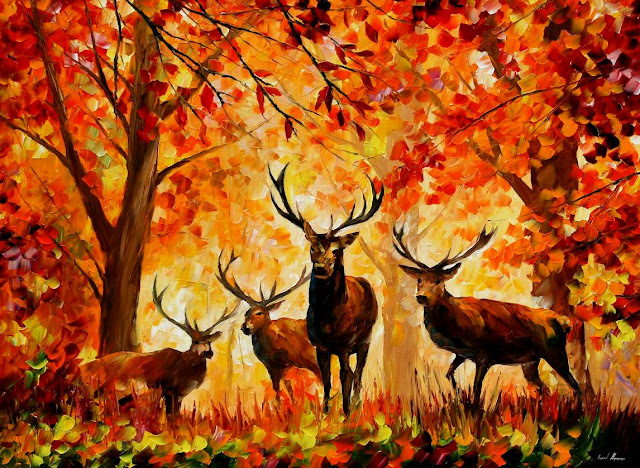 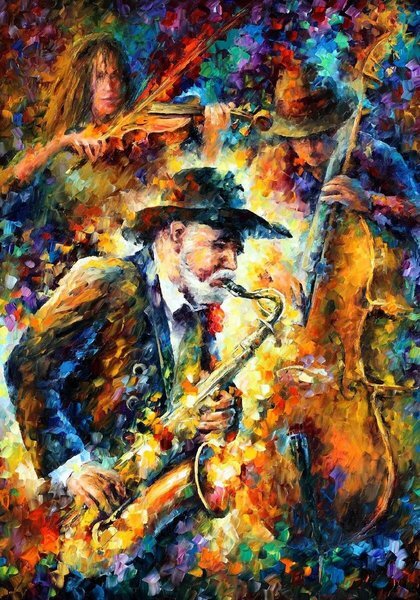 Leonid Afremov exhibits his particularly well tuned eye in regards to mixing color palettes that create a mix of emotion and visually satisfying art.